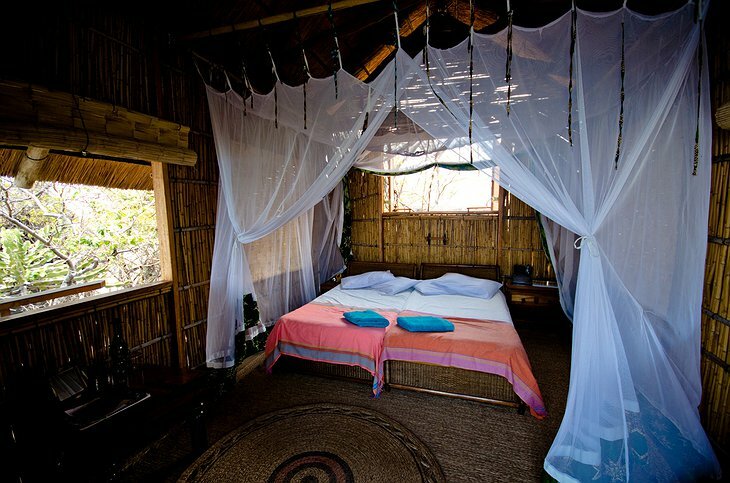 If you hate the tourist hotspots and want some peace and quiet on your holiday, there is one extreme solution. 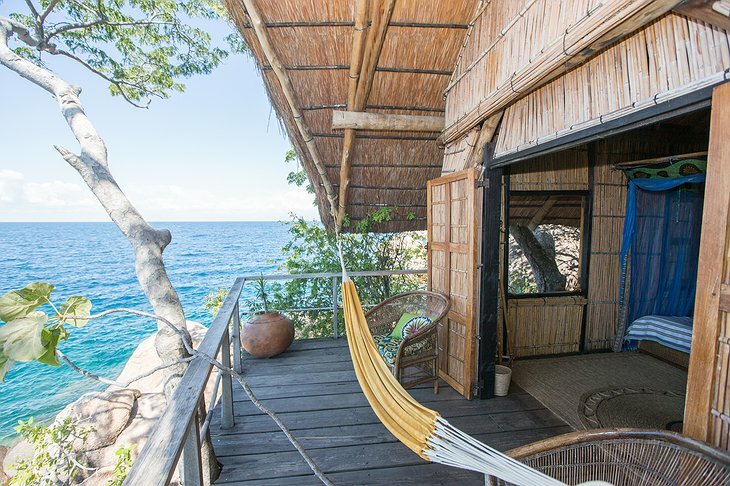 Yes, you guessed right: a desert island. 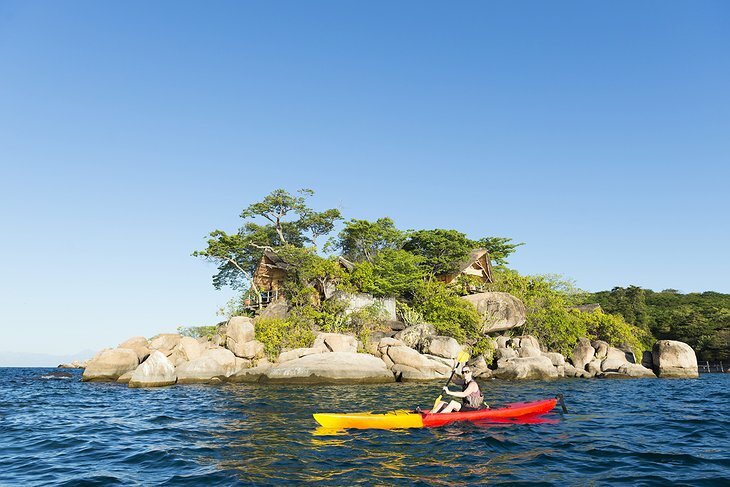 Mumbo Island is a private island that was never populated prior to becoming an eco-camp so it’s perfectly pristine. 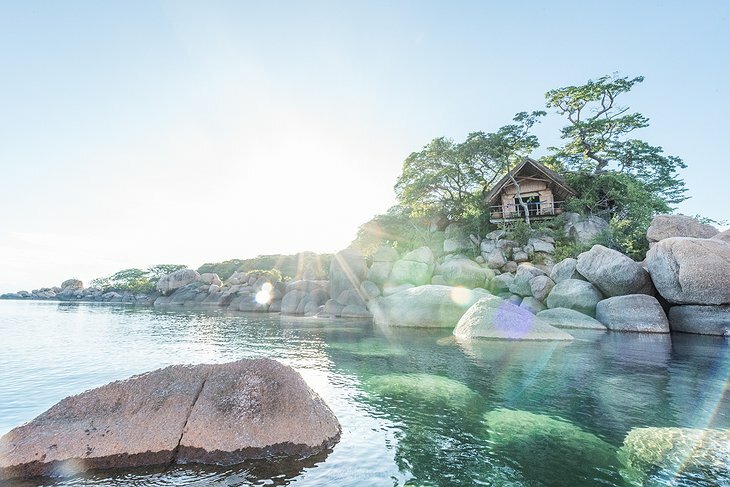 It welcomes only fourteen guests at a time which means that while not completely inhabited, it’s still very much a secluded spot. 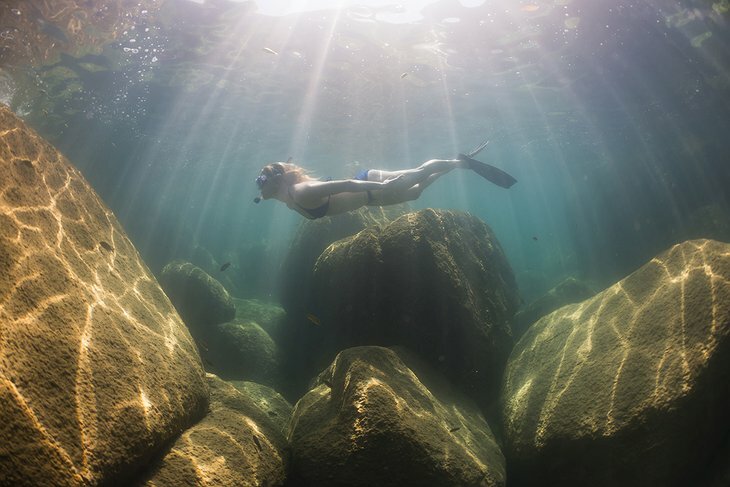 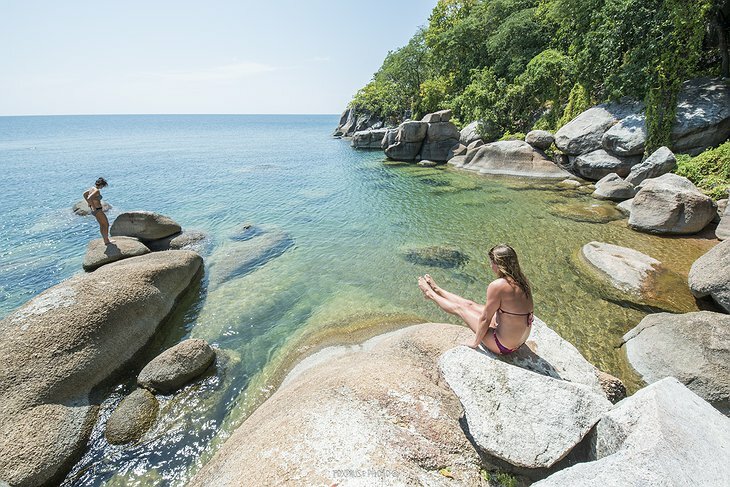 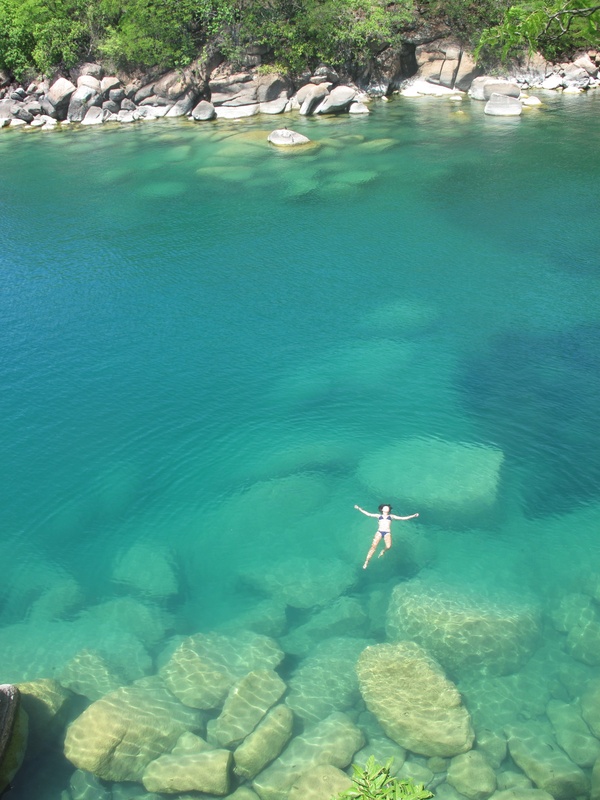 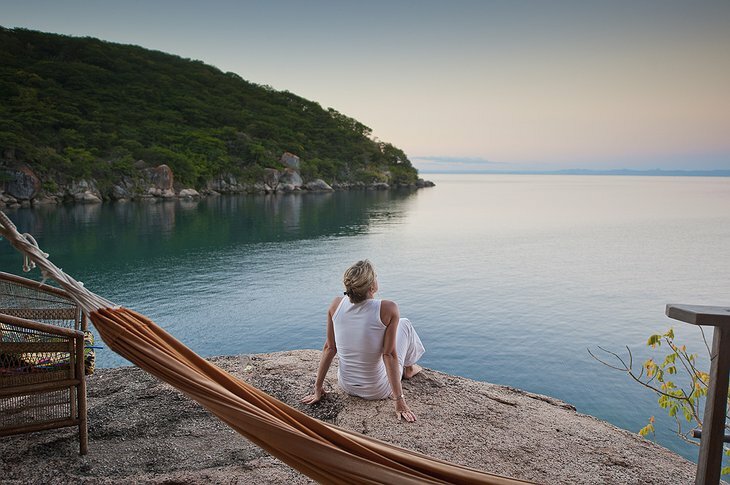 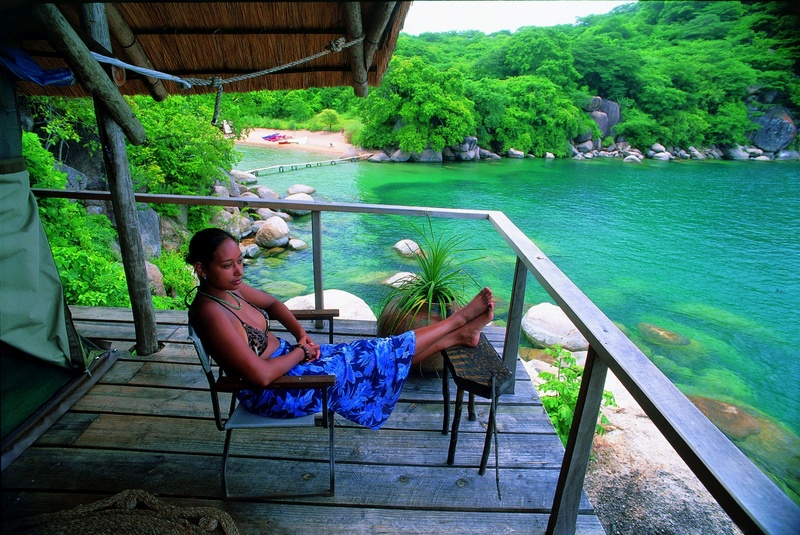 The island is right at the heart of the Lake Malawi National Park, one of the best freshwater snorkeling and scuba diving spots in the world. 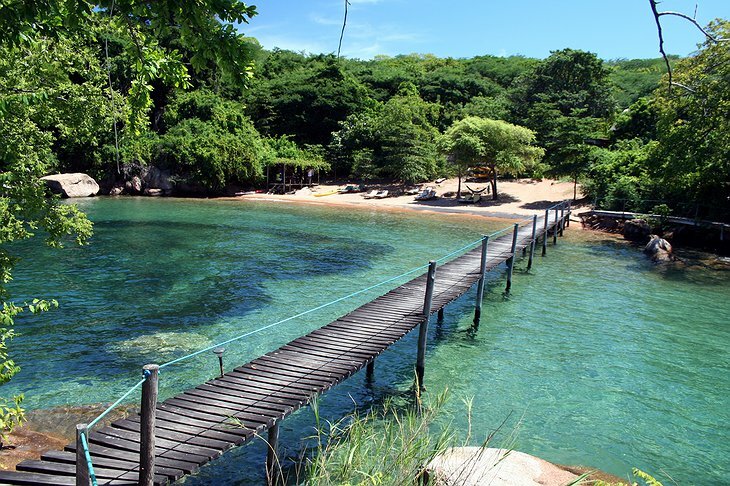 You can meet here colourful tropical fish and friendly otters which will sometimes swim along with you! Kayaking and snorkeling gear are provided in the price of the stay so enjoy the crystal clear, warm waters to your heart’s content. Every morning, there is also a guided walk through the lush green landscape of the island. 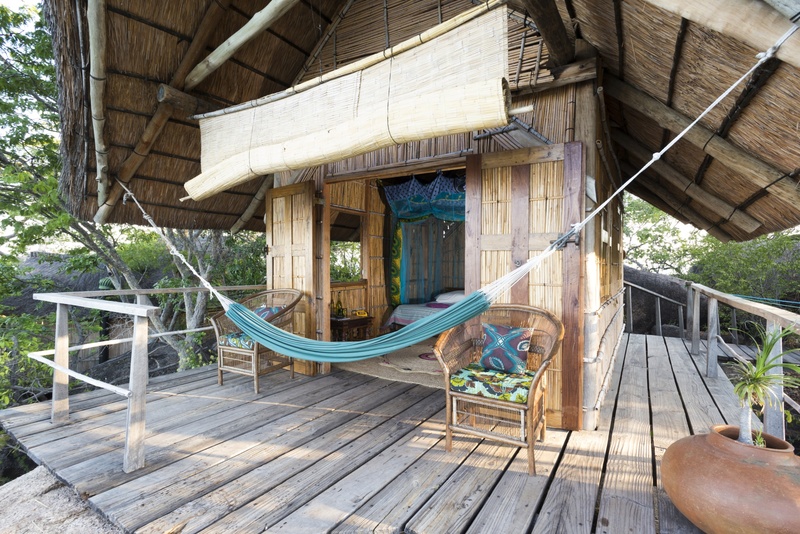 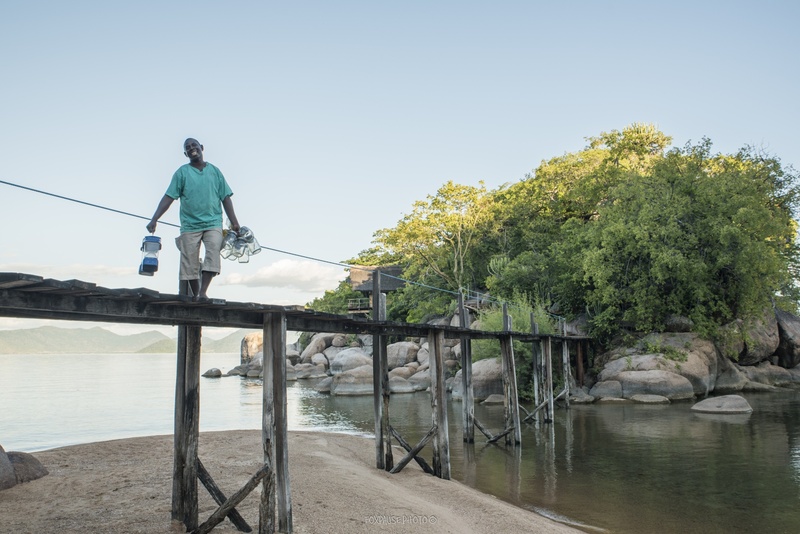 Mumbo Island Camp is serious about sustainability so only local materials were used to build the resort, and even the décor elements were carried out by local craftsmen. Each chalet offers gorgeous lake views and is set apart from the others to ensure privacy and that “Robinson Crusoe” atmosphere of total seclusion. Even the eco-loos have amazing views and are built to incorporate the trees around! 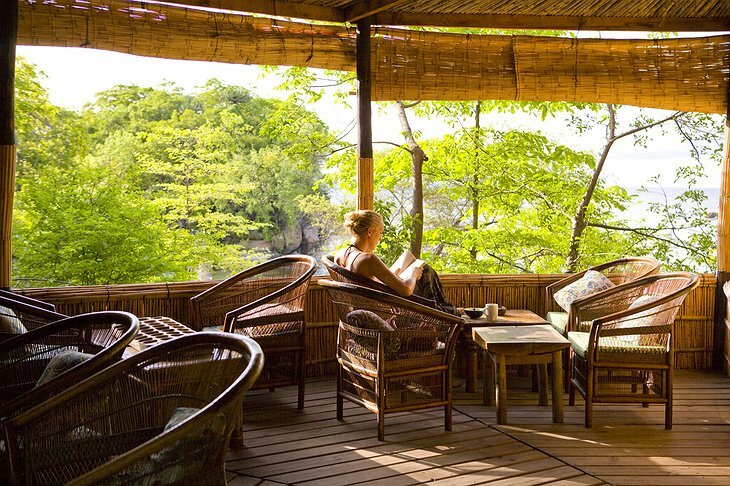 Price of the stay includes three meals a day and free flow of cold drinks so you never have to worry about anything. 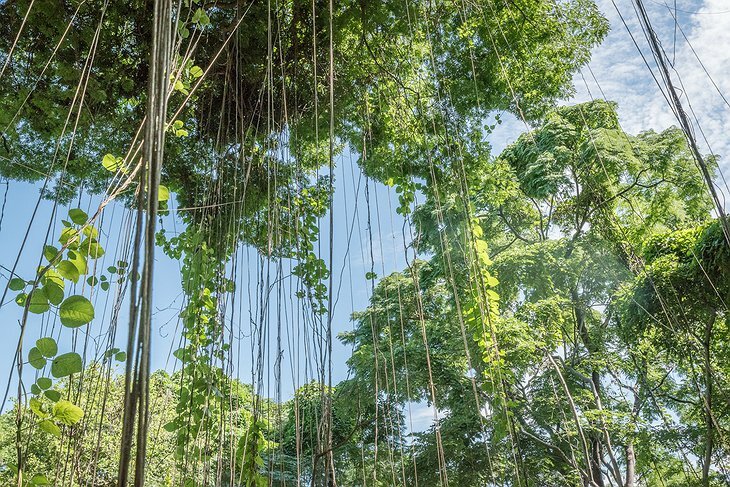 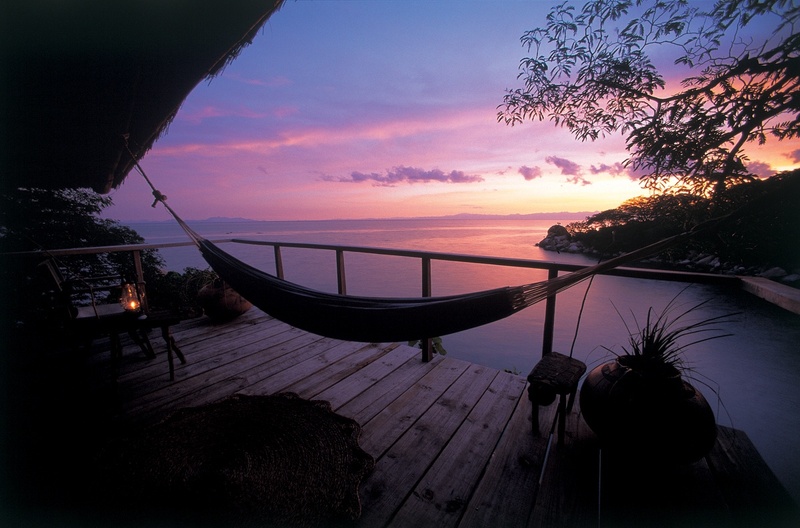 Just relax and take in as much of the beauty as you can from your hammock.